Scaramucci courted controversy with an eye-watering attack on his colleagues -- one targeting chief of staff Reince Priebus, who left his job last week, and chief White House strategist Steve Bannon. Trump's communication director Anthony Scaramucci was dumped on request of chief of staff John Kelly. 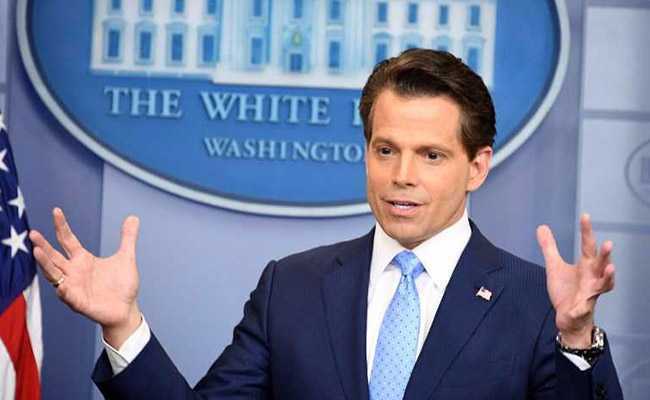 Foul-mouthed spin doctor Anthony Scaramucci was fired as White House communications director Monday, just 10 days after being named to the post and hours after Donald Trump's new chief of staff was sworn in. The 53-year-old New Yorker -- whose vitriolic rant against colleagues gained him global notoriety -- got the boot shortly after retired Marine Corps general John Kelly took the oath in the Oval Office. Kelly -- a former four-star general and Trump's secretary of homeland security -- was tapped to bring order and discipline to a White House beset by scandal, infighting, low approval ratings and legislative defeats. The contrasting fates of Kelly and Scaramucci are the latest in a series of personal shifts that have made Trump's White House feel more like a soap opera than a presidential administration. After an Oval Office swearing-in ceremony, Trump confidently predicted Kelly, a 67-year-old combat veteran, would do a "spectacular job." White House officials would not say whether it was Trump or Kelly who precipitated Scaramucci's departure or when it was decided. Scaramucci was seen in the Oval Office earlier Monday shortly after Kelly was sworn in. "Mr Scaramucci felt it was best to give Chief of Staff John Kelly a clean slate and the ability to build his own team. We wish him all the best," White House spokeswoman Sarah Sanders said in a terse statement. Scaramucci had courted controversy with an expletive-laden attack on then chief of staff Reince Priebus, who was forced out last week, and chief White House strategist Steve Bannon. Kelly inherits the day-to-day running of a White House staff that -- far from marching in lockstep -- look like a regiment pinned down by heavy fire, getting conflicting orders from their commander and squabbling over the way forward. The chief of staff is the highest ranking White House employee -- a chief operating officer who organizes staff, manages the president's schedule and decides who gets access to him and when. That is no small mission in Trump's White House, where a rotating cast of family and staff with unclear roles and opaque job titles walk into the Oval Office seemingly at will. Many question whether anyone can rein in the mercurial, Twitter-happy Trump, who has appeared to encourage the infighting among various factions vying for influence in his administration. "Trump will remain Trump, and the various denizens of the White House are unlikely to treat Kelly with much more deference than they treat one another," Eliot Cohen, a former State Department official once tipped to join the Trump White House, wrote in the Atlantic magazine. Trump -- ever determined to project success -- insisted Monday that there was no "chaos" at the White House, which he said was running as a finely tuned machine. Under pressure from a widening probe into his campaign's contacts with Russia last year, Trump last week attacked his own attorney general Jeff Sessions for disloyalty, alarming his conservative base, before turning on Priebus. Since taking office six months ago, Trump's tumultuous administration has seen a succession of negative headlines and brewing scandals. Fueling the fire, the billionaire Republican has parted ways with a number of top officials beyond Priebus and Scaramucci, including his national security advisor, deputy national security advisor and FBI director, among others -- an unparalleled turnover for such a young presidency.